Under the atmosphere of a postcard, Mauritius enchants visitors with its fine sandy beaches, coconut palms and azure waters. This jewel of the Indian Ocean, a few kilometres from the African coast, is a luxury destination where you can spend your holidays. To make the experience even more memorable, we suggest you rent an upscale villa, feet in the water. At any time of the day, you can tread the fine sands of the most beautiful beaches of Mauritius or dive into the clear blue waters of the ocean. To relax or organise activities with the family, Mauritius is undoubtedly the solution for a paradisiacal holiday. Though the fine sands of Mauritius are exceptional, it is underwater that all the beauty of the island is revealed. With its turquoise lagoons and coral reefs, Mauritius is a real gem for all watersports enthusiasts. With family or friends, come explore the fantastic aquatic life of Mauritius in the middle of a seabed that radiates beauty. No matter what season you decide to visit Mauritius, scuba diving remains the flagship activity of this African pearl. The climate is mild throughout the year, although the austral summer, between October and March, remains the ideal period for snorkelling. Indeed, it is during this season that the winds are the weakest, which means optimum conditions for viewing the aquatic life of Mauritius. In all corners of Mauritius, you will find dive sites as well as clubs offering courses for both beginners and advanced divers. In the East, you will dive in the wild and preserved Mauritius. The West, much less windy, enjoys a rich and varied marine fauna. 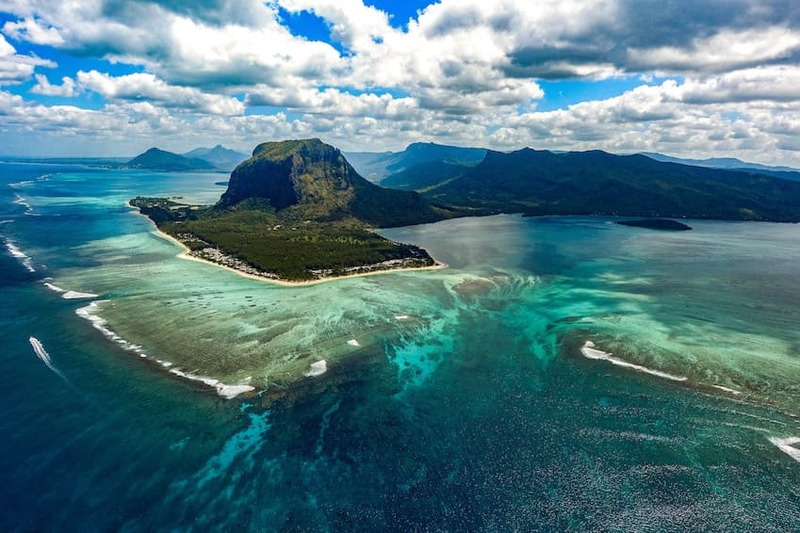 Finally, in the North, the small neighbouring islands of Mauritius such as Coin de Mire, Flat Island or the islet of Gabriel, are privileged spots to practice scuba diving. Of course, as Mauritius is rather exposed to the wind, the country is a surfer's paradise. The southwest of the island, and especially the Tamarin region, are the favourite areas for winter sports fans. Among them, find the famous spot "One Eye" that continues to seduce visitors who come to surf Mauritius. The more experienced can visit Le Morne, a UNESCO World Heritage Site. 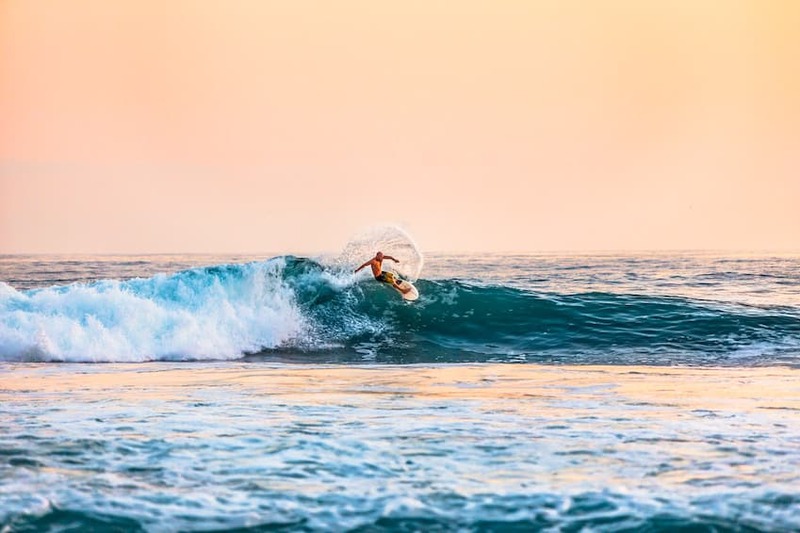 Many schools are present for the island to teach you the basics of surfing. Thus, you will be able to face the impressive waves of Mauritius while the sea breeze gently caresses your face. In addition, holidays in Mauritius would not be complete without having practiced kitesurfing. Over the years, kitesurfing has become the national sport of Mauritius. Many competitions are also regularly organised. Accessible to all, kitesurfing consists of moving on the water on a board while being towed by a kite. With its trade winds, its turquoise lagoon and its sunny climate all year long, Mauritius will delight all kitesurf enthusiasts. There are several areas for kitesurfing in Mauritius. Among them, we recommend the southwest of the island, including the areas of Manawa and One Eye, reserved however for the most experienced. Cap Malheureux and Trou aux Biches will also thrill the most knowledgeable kitesurfers. Beginners will be able to learn kitesurfing in Belle Mare, Palmar or Poste Lafayette. You will understand, in Mauritius you can discover the sea life whilst staying in shape during your holidays. For some adrenaline rushes, try stand-up paddle boarding, also called SUP. This sport of rowing on a large paddle board is booming on the island - and for good reason! Accessible to all, including children, the stand-up paddle offers sublime and unobstructed views of the natural areas of Mauritius while advancing, at your own pace, on the turquoise waters of the lagoon. Finally, if you are not too sporty, you still have the opportunity to go fishing. A very popular activity on Mauritius, big game fishing will allow you to discover the huge fish without going underwater. Armed with patience, you may be able to catch some impressive beasts such as blue marlin, tuna or swordfish. The December to February period is the ideal season to practice this nautical activity and try to catch the biggest marine predators. To enhance your stay in Mauritius, we offer an exclusive selection of villas on the water. So, in the morning, a real show will be played before your eyes. From the comfort of your villa, you can watch the waves crashing on the pristine sand. Lulled by the rippling waves, you can enjoy a calm and relaxing holiday in Mauritius. A true exotic paradise, Mauritius will offer you a dream holiday to share with family, friends or lovers on the occasion of your honeymoon, for example. 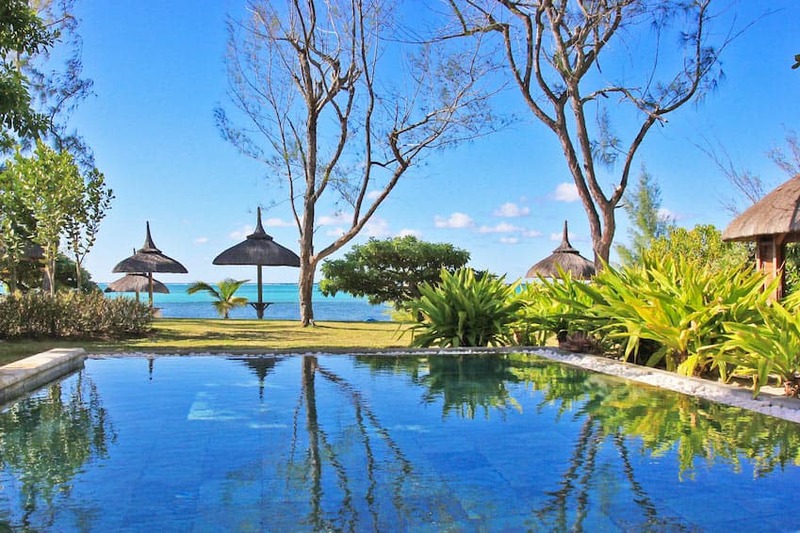 On the Northeast coast, Villa Kavanga faces the sublime lagoon of Roches Noires. In the midst of exotic plants and lush lawns, this property will offer you exquisite moments of relaxation. With a direct and private access to the beach, Villa Kavanga will make you taste absolute luxury. Featuring a private pool, deck and teak gazebo, this luxurious property can accommodate up to eight guests. 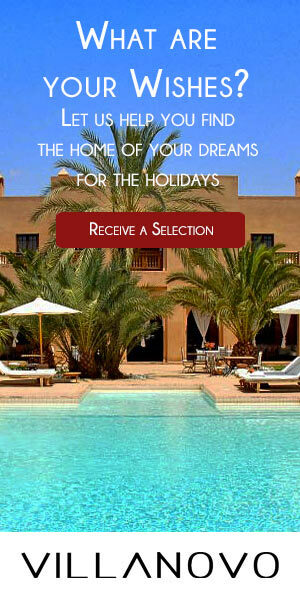 Also in Roches Noires, Villa Nautilus 1 is located on a domain of contemporary houses, somewhat away from the beach. In an upscale residential area, Villa Nautilus 1 consists of a private terrace and a splendid lush garden with exotic plants. Just a few steps from the beach, this beautiful property enjoys breathtaking views of the Indian Ocean. In Poste Lafayette, Villa Verveine is a beautiful property with direct access to the beach. Feet in the water, enjoy this comfortable villa equipped with four bedrooms with bathrooms. Outside, a veranda enjoys a dream setting with a private pool, secured on request, a seating area, umbrellas and deckchairs to alternate between the shade and the sun. Inside, find rooms that are decorated with taste, mixing modernity and tradition. Let's stay in the East of Mauritius and go to Trou d'Eau Douce in the Villa Océane. Built on the edge of the lagoon, this superb villa enjoys spectacular views of the Indian Ocean. Airy and minimalist, the house opens onto a huge swimming pool surrounded by mature gardens. To enjoy the sunny climate of Mauritius, rest in the shade on the deckchairs or under the shady terraces. In Anahita, Villa Anahita Solaia Sun is also an excellent choice. Ideally located in an upscale resort, this luxurious property is a real gem. Equipped with five ensuite bedrooms, the villa can accommodate up to ten people who can relax in the beautiful garden or enjoy laps in the beautiful private pool. On the southeast of Mauritius, in Mahébourg, is the splendid Villa Anse Fauverelle. This haven of peace has a private pool and a large garden on a plot of 3600m2. In the middle of nature, in a peaceful and pleasant setting, the Villa Anse Fauverelle is perfect for a family escape. Equipped with five ensuite bedrooms, this luxurious property combines nature and convenience. Inside, the decoration is neat for your greatest satisfaction. Nestled in a beautiful environment, between sea and mountain, the Villa Turquoise is a peaceful retreat located on the west coast of Mauritius. In Black River, this spacious villa has splendid views of the ocean. Under the parasols, come and swim around your private pool in this private paradise that will belong to you. A beautiful veranda with a seating area and an outdoor dining room will also allow you to share delicious meals with your loved ones. As you can see, renting a villa with your feet in the water guarantees you a dream holiday in Mauritius. With splendid views of the ocean and direct access to the beach, you can, at any time, enjoy the beautiful beaches of Mauritius. Thanks to the wide range of nautical activities, Mauritius is an exotic destination where it is good to rest. A guaranteed escape!